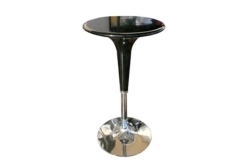 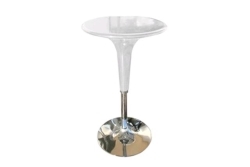 These tables can intimately seat 2 people and are commonly used at cocktail events, with or without bar stools. 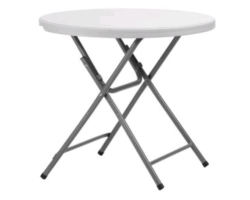 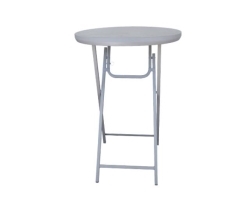 These tables are also most commonly used as cake, gift or side table. 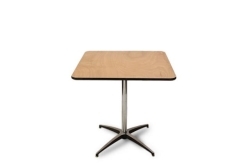 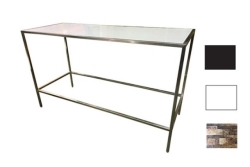 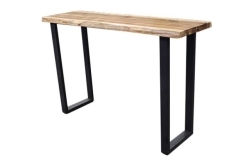 This table comes in two heights, 30" high (table height) or 42" high (bar height). 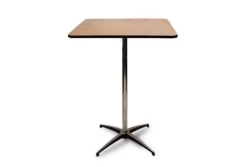 Please note there is an extra $5.00 charge per table for 42" height.